Warner wasn’t into blondes after all. 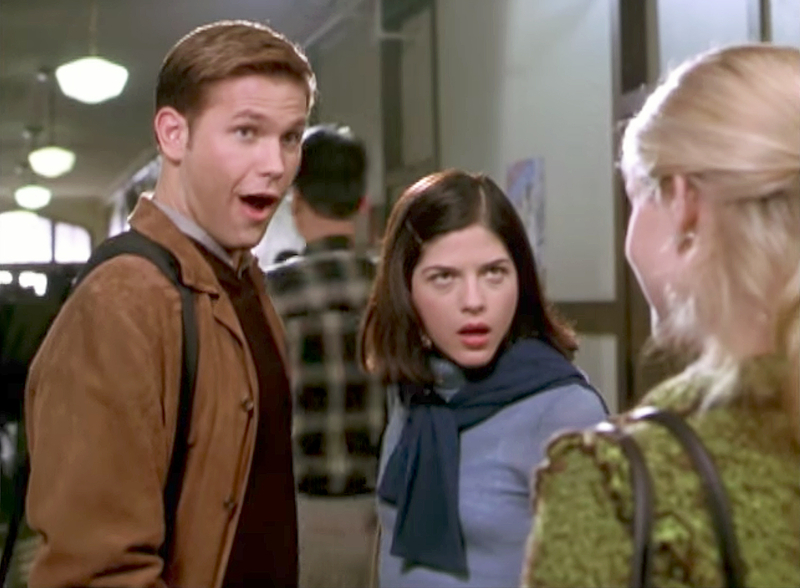 Matthew Davis, who starred Legally Blonde back in 2001, has revealed he had a huge crush on his costar Selma Blair while they were filming the movie. The Golden Globe-nominated flick hit theaters 16 years ago, and in a recent interview, The Vampire Diaries alum admitted that he liked his on-screen fiancée in real life at the time, but didn’t pursue her because she was already in a relationship. Blair dated Schwartzman in 2001 and they split less than a year after they started their relationship. Meanwhile, in the movie, Warner (Davis) breaks up with his college girlfriend Elle Woods (Reese Witherspoon) and starts dating his Harvard Law classmate Vivian Kensington (Blair). Blair was not the only star in the movie that made a big impression on Davis, who was 23 at the time. He told the outlet that he totally lost it the first time he met Witherspoon on set. “I remember turning beet-red and later getting back in my car and just slapping my forehead, feeling like a fool. She was gracious — she was very sweet … Reese is very professional,” he added. Davis previously dated actress Leelee Sobieski back in 2008, and was linked to Alphas actress Azita Ghanizada, 32, in 2012.